Hello fans and fishermen. It’s been about 6 months since my last update. They say you can’t change the past or predict the future, but I’d like to reflect and speculate a bit on both. First, the reflection. Last year I welcomed Capt. Eddie to the AFG crew. His steady flow of fishing knowledge and one-liners continues to keep anglers busy and bustin’ a gut. Eddie consistently delivers incredible days on the water, and lifelong memories. I’m so glad to have him aboard. Another addition was a new Suzuki engine for the Pathfinder. It’s so quiet sometimes I don’t even realize it’s on. Dependable and efficient: two words which describe the engine and Capt. Eddie. Both are ready for another busy season with me this year. As for the future, I plan to keep up with my posts, reporting on the fishing conditions and catches more frequently. Part of my negligence in that area was because related interests took a front seat. 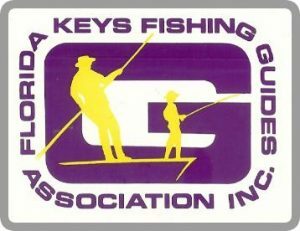 In September I was elected Commodore of the Florida Keys Fishing Guides Association. It’s a 60 year old group which I’ve been involved in for over 12 years. Our primary fundraiser is the annual Swamp Guides Ball in early February. Now in its 27th year, the backcountry fishing tournament benefits the Guides Trust Foundation, which helps ailing guides as well as sponsors scholarships for marine biology students. I’m also a founding board member of a new grassroots organization called Florida Bay Forever. A devastating sea grass die off in the Florida Bay called our attention to the dire need for more clean water flow into the Florida Bay. 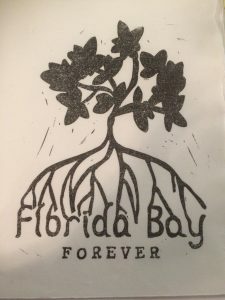 FBFVR organized to raise awareness in Monroe County, FL, and to advocate for Everglades restoration, which benefits linked estuaries like the Florida Bay. If you love fishing here – or anywhere in south Florida – you’ll want to learn more and get involved. Just click the link above. Now I’m off to update tackle and finish annual boat maintenance while I can, before busy season sets in. The AFG outfit will be ship-shape ready for when YOU come to town. See ya soon!